I don’t remember the first time I heard Thirteen Year Old Dylan Cragle sing, but I know it stopped me dead in my tracks. His performance really captivated me as I watched this young inherent talent more than demonstrate his ability to deliver a song. It was then that I realized, Dylan was going to be a powerful force in the near future! 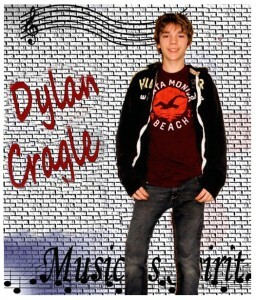 Dylan Cragle is more than just a young man with a big voice. He is a young man with a big heart! Dylan has a masterful way to write not only great pop music with moving rhythm and beat, but weaves in a meaningful message with every new release. His latest song “In This World” not only illustrates this, but once again gives you an inside look at who Dylan Cragle really is, and what he wants to convey through his music! Dylan is extremely compassionate about an issue that many young teens face every day at school. Bullying! This is not only wrong but has driven many teens to even take their own lives because of not wanting to face another day of this repeated torturous routine from their peers. “What’s up with School” new Dylan Cragle original! Thirteen year old Dylan Cragle from Washington state is making his mark as a recording artist with his new original song “What’s Up With School” this week. Thirteen year old Dylan Cragle from Washington state is making his mark as a recording artist with his new original song “What’s Up With School” this week. While many youngsters his age are singing copycat songs in attempts to be recognized, Dylan has taken it to the next level as a song writer/performer. Working regularly with his producer Victor Holguin, Dylan is learning to exercise his unique creative talent. Dylan began writing “What’s Up With School” about 2 months ago and I am delighted to introduce it here for the very first time. Dylan’s desire was to write about something that not only he could relate to, but something that all teens could identify with and enjoy. This song is quite different than his past recordings as it is upbeat, cheery, and has a very catchy beat. Like most teens, Dylan despises homework and often asks “why do I have to learn about this?” His Mom Lynn told me, that the chorus for this song just spilled out while having a conversation with her about the subject matter of the song. Once the lyrics for the chorus were in place, he thought of a melody and how he wanted the song to sound. He then took this to his producer and from that they started composing the music. Dylan then started writing the verses, the bridge, and came up with some ad libs. The song slowly developed, and what we hear today is the final results of this fantastic collaboration of creativity and effort. Dylan is already looking foreword to writing his next song and we are very excited to see what comes next from this fantastic new young recording artist! 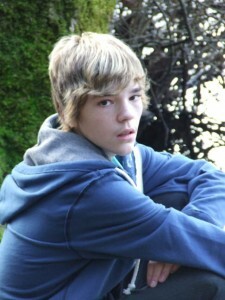 Don’t forget to leave your comments for Dylan, as he very much appreciates hearing from you, his fans and supporters! Author RivenmasterPosted on March 26, 2010 March 29, 2018 Categories Dylan Cragle, Featured, Young Male Artists A-LTags boy, Dylan Cragle, Pop, singer, songwriter, Talent, Teen, youth26 Comments on “What’s up with School” new Dylan Cragle original!